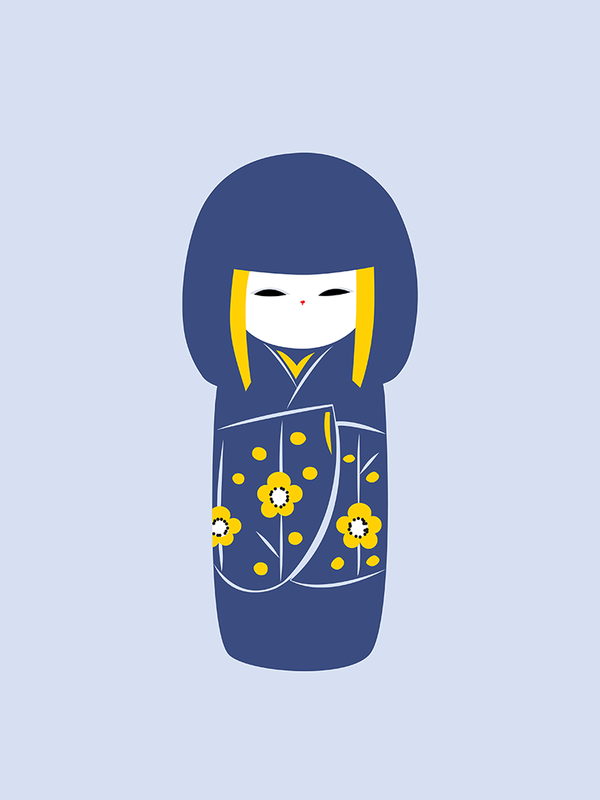 Kokeshi (こけし・小芥子) is a Japanese wooden doll. In contrast to the more earthy tones often found on a traditional doll, the bright Pop Art colours give this doll a contemporary cheerful appearance and are sure to dress up any wall. The Kokeshi print is perfect for anyone who likes Japanese culture, travel, or simply colour and illustrations. This print is equally great for an adult’s as well as child’s space.